Nowadays maintaining the proper inventory levels is a challenging task. If you fail to have a good inventory management, you can suffer significant expenses in terms of both money and time. Fortunately for us living in the computer-age, there are many stock control software that exists, using micro-computers and a variety of industry specific software. The cost of carrying inventory nowadays has become a major expenditure and requires immediate attention and cost saving actions. The benefits of inventory control far outweigh the costs. Any reduction in inventory, whether it is raw, work-in-progress, finished goods or supplies, can have a dramatic impact on your bottom line. After all, business is about improving the bottom line at all costs. A computerized inventory control system can also help a business with new inventory techniques that cut the use of the business resources and other assets. However, these techniques require top notch error free environment and a good control in stock control since the buffer zone to compensate for the errors is very tight. Tips to go about selecting a good stock control system; First it is advisable to buy the readymade software rather than develop it in-house. With the purchase of available inventory software, you can focus on getting the benefits of the system almost immediately. Also available are the documentation and training materials when a software package is purchased. This provides a tangible saving in time and other headaches. Buying a software package is not easy due to a wide array of choices in the market place today. 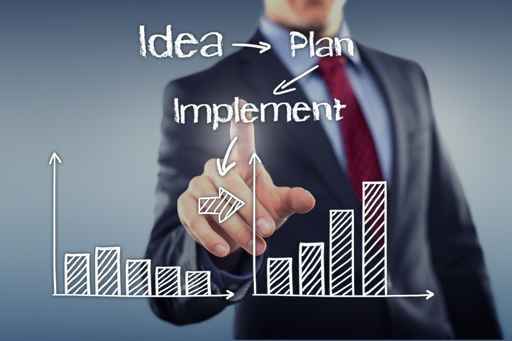 When choosing the best package for your type of company consider; ease of use, vender reputation, client support systems and availability of end user documentation and tutorial programs. The package once bought should be capable of certain key functions; it should allow for reporting and tracking of all products of inventory within a company. In particular the system should; maintain a product master file for the business, process the inventory within the company, provide adequate online inquiry and management reporting capabilities and facilitate purchasing. The stock control software should be capable of generating numerous operational and management reports. They include; stock status report, inventory movement report, recommended purchases report and purchased report. Such stock control software can be a great asset to any business whether small medium or large. These systems can help the management in controlling and handling therefore cutting significant costs. Such systems should be purchased from certified software package vendors and personalized to the company`s needs. Care should be exercised in choosing the right package due to availability of many vendors selling such software in the market plus the customizing and implementation cost for the company could be very expensive if the wrong package is chosen. The financial cost of software implementation goes far beyond the cost of the software package itself. The time and effort could be higher than ten times the cost of the software. However, the overall benefits would still far outweigh the expenses. Please log on to www.e-marketing.com.au for more details. Is Cloud POS The Next Big Thing For Restaurants? Just like most entrepreneurs in the hospitality business, restaurateurs have now caught on the cloud craze and are now jumping ship from traditional to mobile POS. Their reasons? Easy, real time access to data through compact mobile devices; fewer hassles when it comes to technical issues, better productivity and faster processing of transactions. With cloud-based POS systems becoming more sophisticated and encompassing in terms of capabilities, many entrepreneurs are thinking that the cloud might just be the future of all restaurant POS. There are restaurant owners who choose to access their cloud POS on Web-based mobile gadgets like tablets and smartphones, but there are those who are a bit more conservative and opt for an in-store terminal. Only the terminal remains in the restaurant – all other hardware are eliminated, since data is hosted securely off-site. This is perhaps one of the notable features of a cloud-based POS: it offers better flexibility for business owners and allows them to enjoy the benefits of the cloud while keeping in line their personal preferences and business needs. While majority of cloud POS providers offer full-on cloud-based POS solutions, there are also providers that offer back-end servers to relay data to the cloud. A reason for this is that there are restaurant owners who are not too comfortable with the idea of not having a physical backup system. Of course this is not at all necessary, since all cloud POS services can resort to a 4G source and other backup solutions if wireless connections go down. Data in such case is stored automatically in the system and can be accessed in standalone mode until wireless internet resumes. Those who have opted for 100 percent cloud report that such setup delivers greater functionality. The Franklin Restaurant Group in Massachusetts claims to process roughly 2,000 transactions daily without problems using only a 100 percent cloud on iPad system. This functionality benefits restaurant owners with multiple branches, as data from all locations are synced off-site and can be accessed by the owner anytime he wishes. With cloud-based solutions becoming a more trusted option for restaurant owners for their businesses, it’s not impossible to see a future where restaurants operate on 100 percent cloud systems via smart devices, eliminating lengthy lines and long checkout time. Already there are restaurants that allow customers to order items through their mobile phones, and servers noting poolside orders using tablet PCs. With greater support from restaurant owners and wider acceptance from patrons, we can expect the food and beverage business going 100 percent mobile in the years to come. If you have questions, just log on to www.retail.net.au. A POS system or Point of sale system is a computerized transaction terminal that are now used in service oriented establishments such as restaurants, salons, car repair shops and the likes. They are also found in department stores, malls and other establishments that sell consumer goods to the public. 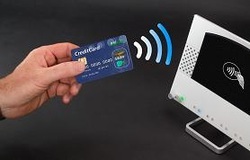 This system usually consist of a computer with a touch screen monitor , a cash drawer, a debit and credit card reader, a receipt printer and for consumer goods shops a bar code scanner. The most basic POS computer system is an electronic cash register and its basic function is to ring up the goods that were purchased and issue a receipt. Most of this electronic cash register would usually have built in basic software that prints out daily transaction reports that are used to reconcile cash against the transactions. Some cash register even has memory functions that can produce extremely detailed documents that allow the user to study past transaction reports or generate monthly or yearly transactions summary. A more complex form of a POS system has several features incorporated in the set up. In most cases, to configure this kind of an environment, a business owner would usually have to buy different hardware and POS software or point of sale software to go with it. Usually along with the electronic cash register, a touch screen monitor is needed, bar code reader should be available and a debit and credit card reader should be on hand to accommodate buyers who use their credit cards and ATM card to settle their accounts. With these hardware peripherals, software to run the system is required. Usually aside from the calculating software that is needed, inventory management is usually purchased so that control of incoming and outgoing products can be monitored in real time. The significance of the point of sale system being implemented in any business entity is its capability to improve tremendously managerial control by accurately tracking all business transactions at the moment they are consummated. Any transaction that is done over the POS terminal is immediately uploaded to the company’s main server thereby updating at that particular moment the transaction that had just occurred. POS system provides detailed sales and inventory reports that allow the owners and managers to easily order the correct amount of raw materials or product that the company needs at the proper time and date. POS systems improve customer service by reducing the time to complete a single transaction and also allows owners and their managers to directly see the success of a special promotions launched by the company to its customer. The system has the ability to customize the need of a certain business like restaurants can include menu items and layouts, shops can immediately locate current sales prices and cost of numerous products and hotels can easily link restaurant bills with room charges. Admittedly, setting up a Point of sale system in any business company will incur a large amount of money but in the long run will reverse itself and save the company millions because of managerial efficiency that it will bring to the trade. Visit us at http://www.safetyinsider.com.au for more detail. A creative and well-designed roller banner is the perfect media for standing out from the crowd and catching the eye of potential customers at a trade show or exhibition. There is a huge array of manufacturers and printers of banner stands, different designs, styles, and materials to choose from, so we have compiled the top tips to help you make the correct decision. The important thing is to remember that a roller banner stand is a tool meant to increase customer traffic and consequentially, sales. It’s important to shop around for the best prices, just like when choosing the ideal shopping cart software for your business, so that it does not eat up too much of your advertising budget and turn into an expense that you cannot afford. Often, providers of large-format advertising will add on hidden extras for the graphic design and construction of the banner stand, so remember to take all of this into account when purchasing your roller banners. Most stands come with the manufacturer’s guarantee but some companies don’t offer this. Check with your supplier to find out what kind of guarantees they can give you in terms of refunds, maintenance, and repair before you make any commitments. Whether your banner is for outdoor or indoor use, it’s advised that you always check with the manufacturer or supplier as to what solutions can be added to keep it stable and durable. Outdoor banners take a lot of beating, especially during the winter months. By ensuring that your banner can withstand different types of weather, it will help make it last for a long time. Please visit http://www.retailpointofsale.com.au/ for more details and information.